Every application does not need to be decomposed into microservices, but the conventional wisdom is that the practice is becoming widespread. 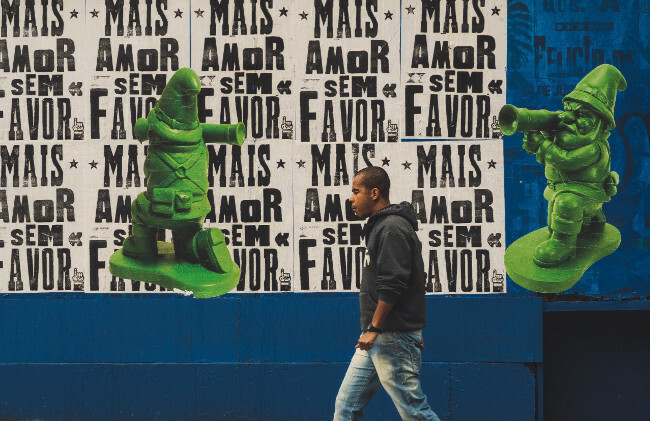 DZone’s recent survey of 605 software professionals sheds light on the matter: Twenty-six percent of respondents use a microservices architecture for at least one production application. Another 27 percent use microservices in development, leaving 47 percent having no exposure to that type of architecture. The data reminds us that many hot trends cool off after an initial surge in adoption. However, digging deeper the survey also shows that microservices adoption is dramatically higher among the types of people that read The New Stack. 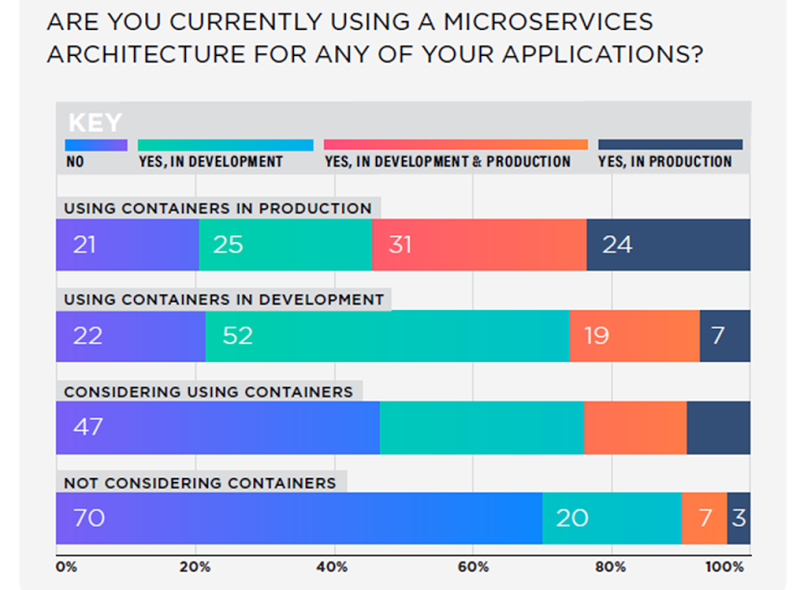 In fact, 55 percent of those running containers in production also use microservices architecture for a production application. 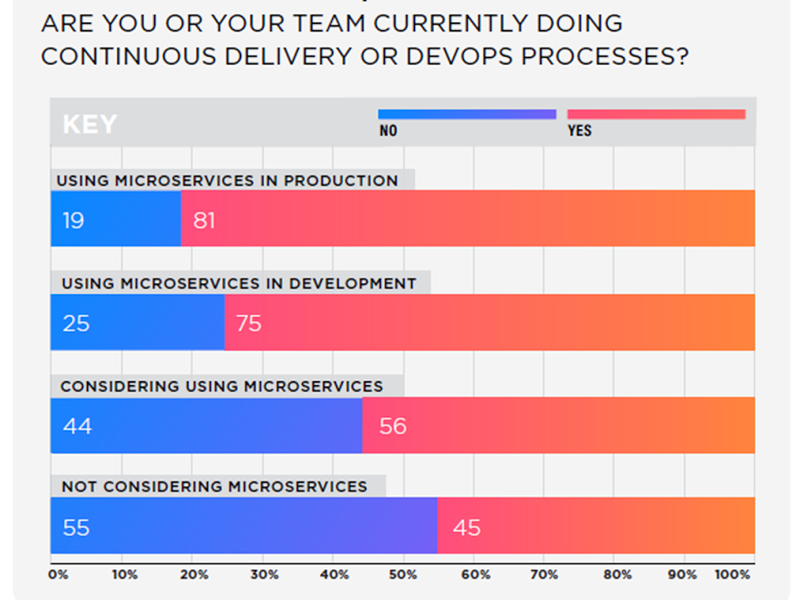 The correlation between DevOps is even more dramatic, with 81 percent of those using microservices in production also following continuous delivery or DevOps practices. Microservice adoption is likely to continue, especially as best practices continue to evolve. Yet, with many applications not worth the effort of refactoring the progress will likely be gradual. Feature image by David Sonluna on Unsplash.